Red Vein Bali kratom has the strongest pain killing and euphoric sedation while a Boreno White will have more of an energetic effect similar to coffee but more relaxing. The effects of kratom vary from strain to strain and from one person to another. There are several kratom strains that come from different geographical locations like Thailand, Malaysia, Indonesia, Laos and Cambodia. 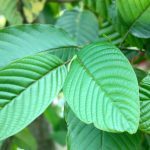 Each of these locations has exceptional kratom, but there are many varieties that have their own unique effects. Vein color is also relevant to the effects of kratom, and this is something that many people forget to take into account. Bali and Thai are the most popular types of red vein kratom. In many areas of Southeast Asia red vein grows naturally and in large quantities. Red vein kratom seeds and cuttings are more viable than white and green veins, and this is why red vein kratom is more commercially available. Premium red vein Bali kratom has strong analgesic properties and provides you with relaxation and deep euphoria. Kratom can be used as an alternative for prescription opiate based medicines, and in providing relief in opiate withdrawal. Kratom is 100% natural and can be used to relieve pain. The dosage depends on personal tolerance, metabolism and weight, but using a small dose between 1 to 2 grams will give you a stimulating effect and provide mild pain relief. Maeng Da is slightly different from Bali kratom and can also be used to relieve pain or give you some much needed energy and stimulation. So, if you want to control your anxiety and stress, take a smaller dose, between 1 or 2 grams of Maeng Da to achieve relaxation, and feel calm and content. White vein kratom has more energetic effects than the red vein Bali kratom. White vein is a more popular version because it can be used during the day without getting too relaxed. This type of kratom comes from South East Asia, where the most prominent one is from Indonesia, from the island of Borneo. White vein kratom is mildly effective, but it has profoundly relaxing effects when taken at a higher dose. Kratom can be found in several forms that include dried leaf and powder. 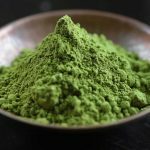 One of the most popular way of using kratom is making kratom tea and mixing the kratom powder with a drink of your choice. But if you don’t want to make tea and avoid the bitter taste, you can opt for kratom capsules. To find out what the best dose for you is, you can take 2 capsules, an equivalent of 1 gram of powder, on an empty stomach and, after that, a hot drink to help them dissolve. After you have evaluated how they affect you personally, you can repeat the dose after one hour, and decide if you will be needing a larger dose. There are three types of kratom, Premium, Super and Kratom Extract. Here is a guideline of how much kratom you need to take to achieve the desired effects, depending on your needs and symptoms. 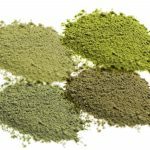 These are the types and doses of kratom you need to know in order to find the right dosage for your needs. Study them carefully and remember that if you take too much kratom you can develop a tolerance to it, so we recommend to take it no more than twice a week. However, the tolerance is not permanent and normal sensitivity resumes after a couple of weeks of abstinence. I’ve been thinking about getting some kratom for sale, and I think that your article will help me with that! I’m glad you mentioned that there are different types and doses, which I think would be smart to keep in mind. I’m going to have to look for a few different options and see what our best bet would be! Thanks!